Whether you visit cultural hotspot Amsterdam, take a stroll in the historic city of Maastricht, visit the Royal City of The Hague (Den Haag) or go shopping in hip and trendy Rotterdam, the Netherlands offer you great and relaxing city breaks. 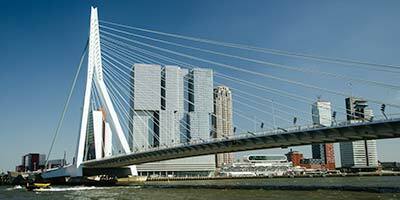 Shopping, fantastic museums, trendy festivals, the finest restaurants, stunning nightlife and unique architecture are the key ingredients for a perfect weekend getaway in Holland. What are the top 10 best citytrips in the Netherlands? Amsterdam is the perfect destination for a long weekend getaway. 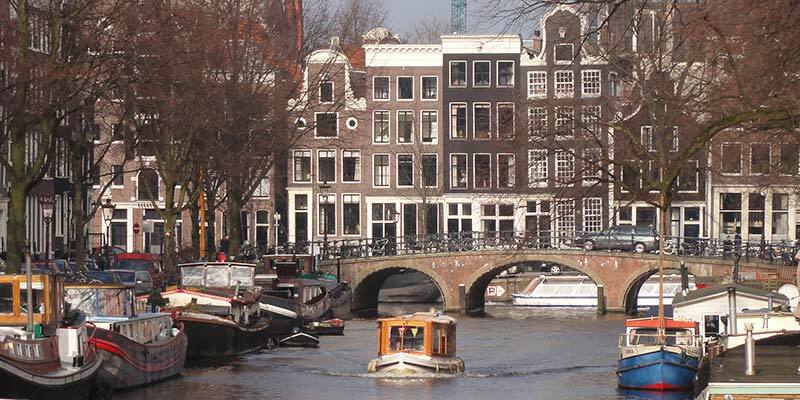 The beautiful canals and quaint neighborhoods will surprise you every time again and again. Stroll trough the city or rent a bike to discover Amsterdam the Dutch way! The endless array of shops, bars, cafes, restaurants, galleries, museums, concerts and events ensure that Amsterdam is never boring! 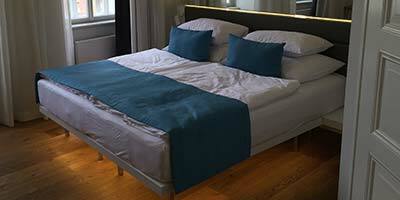 In addition, the city has a large selection of comfortable hotels. Every Sunday the city center shops are open and if you need a break outside the city, simply catch the train to the sandy beaches of Zandvoort. Maastricht is located in the southmostern part of The Netherlands. Start the day with coffee and vlaai (local cake) at the central Vrijthof Square and finish the day with a nice local beer or glass of wine in one of the many cozy pubs. The ancient city of Maastricht is a pleasant and romantic destination for a long weekend. Rotterdam is a hip and modern city. It's the only city in the Netherlands with an impressive skyline. The architecture is attracting visitors from all over the world. Tired of walking between all the dutch skyscrapers? Take the watertaxi and enjoy an exciting ride on the water. The Hague is the governmental city of The Netherlands. The attractive city is great for shopping, its museums and nightlife. Kids will enjoy Madurodam (miniature Holland). The Hague is located near the sandy Northsea beach. On a sunny day take the tram to Scheveningen or Kijkduin and enjoy! Utrecht is slightly smaller than Amsterdam, but just as cozy. In summer, the terraces at the Old Canal are the place to be. Nice trips in Utrecht include the Central Museum with a fine collection of Rietveld's furniture, the world heritage Rietveld Schröderhouse or the Aboriginal Art Museum. Children will enjoy the Railway museum, climbing the 112 m high Dom Tower or a visit to the Street Organ museum. It's fun! Groningen is a vivid city in the north of the Netherlands. 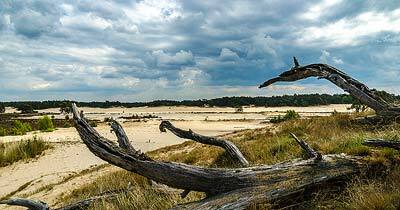 It's just 2 hours by train from Amsterdam. Eye catcher is the spectacular Groninger Museum designed by the Italian architect Alessandro Mendini. The historic city of Haarlem is just 15 minutes away from Amsterdam AND just 15 minutes away from the north sea beach. The old city center was founded in the 10th century. Around the grand place you will find plenty of nice bars and restaurants. The Kleine Houtstraat is great for shopping. Find and visit the 21 patios ('hofjes'), the city hall from or the oldest museum in the Netherlands: Teylers Museum. "The northernmost city in southern Europe," wrote a fellow travel site about Burgundian Breda. Judge for yourself whether that's true as it's as rainy and fresh as in the rest of the Netherlands, but is cozy Breda sure! The oldest part of the lively center is situated around the Great or Our Lady's Church. Here are most of the cafes and restaurants of the city. On Sunday, the shops are open in the center. But would you rather go out, you can enjoy a walk in the woods. For a short weekend getaway, Breda is a nice and surprising destination. Den Bosch (also called 's Hertogenbosch) has a beautiful historic center with numerous monuments, squares and charming streets. During the Carnival in February, Den Bosch is renamed Oeteldonk and is only suitable for revelers. But beyond February Den Bosch is also suitable for non-carnival-revelers. Visitors declared Den Bosch several times as the most hospitable city in the Netherlands. Den Bosch is highly recommended! Delft is an historic city. The charming town is ideal for a daytrip or even a couple of days. Until his assassination in 1584 William of Orange had his residence here (In the Prinsenhof you still can see the bullet holes). Also Johannes Vermeer is one of its honorary citizens. The 17th century painter was born in Delft and was nicknamed "master of light". In 1997, Delft was again put on the world map when US President Bill Clinton and his wife Hillary visited the city spontaneously to eat poffertjes (pancakes) in a restaurant on the Market.